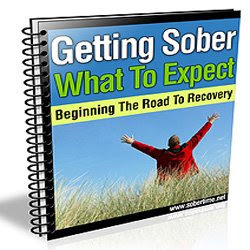 *Getting Sober: What To Expect,* is written from first hand experience of a recovering alcoholic. I know all to well the fears you may face when thinking about getting sober. In this book you will have all those questions answered and more! It is my hope that knowing what to expect when getting sober will make that decision all the easier. *Getting Sober: What to Expect* was written with your best interests in mind. I hope this book makes that decision easier for you once you know what to expect. Good luck and I wish you the very best on your road to recovery! Witdrawal- How bad is it? Relationships- Will they be restored? Support- Do I have to go to meetings? How will I feel if I just quit, after all those years of drinking? How do I avoid a relapse? Should I talk to my doctor?